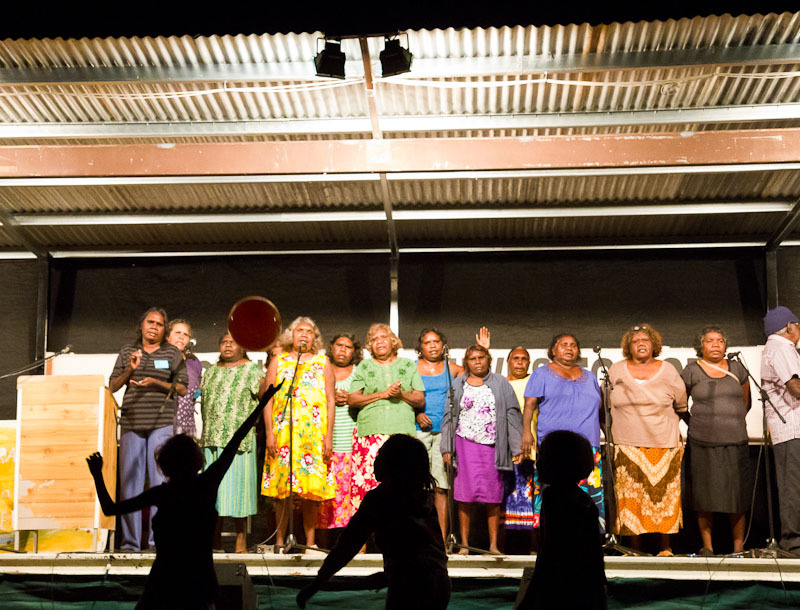 I’ve just returned from a weekend of fellowship and celebration with Indigenous Christians from all over the top end of outback Australia. Camped out under the stars, or big mango trees, hundreds of people who could make the journey spent a long weekend praying, worshiping and encouraging one another. 50 years ago this year one of Wycliffe’s partners – AuSIL– begun work with Indigenous language communities and I spent the weekend interviewing people who told me how much they enjoy reading God’s Word in their own language and how God is blessing their communities. This image from the Saturday night celebration shows some kids playing with a balloon on the grass in front while a ‘big mob’ share a song.